Schisandra is native to Asia and North America, with a center of diversity in China. Some species are commonly grown in gardens as ornamentals. It is a hardy deciduous climber which thrives in almost any kind of soil; its preferred position is on a sheltered, shady wall. It may be propagated by cutting off half-matured shoots in August. 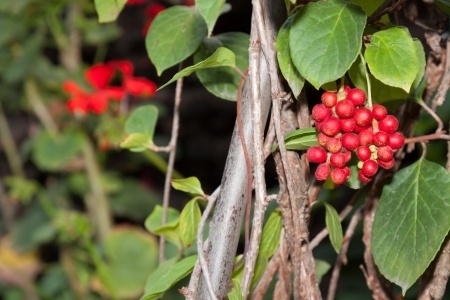 Despite its common name, Schisandra is not closely related to the true magnolias. The extract of S. rubriflora, a native of the Yunnan province, was found to contain complex and highly oxygenated nortriterpenoids called rubriflorins A-C.